Radiological safety aspects in general and neutron dosimetry in particular, around medium and high energy particle accelerators pose some unique challenges to the practitioners of radiation protection. At such high energies the concept of dose becomes a complicated issue primarily because of the onset of electromagnetic and hadronic cascades. 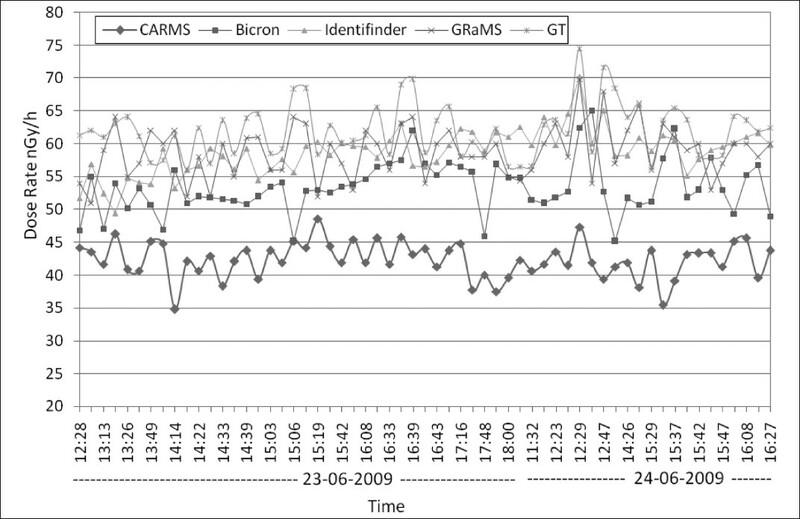 The role of computational dosimetry in such cases as well as for radiation protection in general is having a growing significance. It is anticipated that the recently developed soft computing techniques will play an important role in radiation protection in the future. 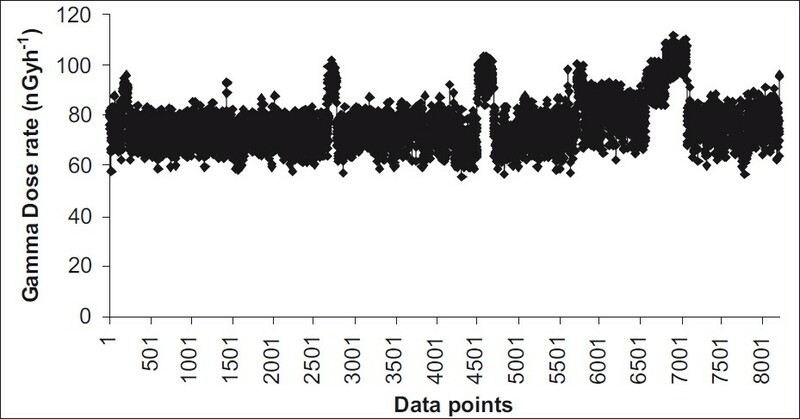 Estimation of uncertainty and propagation of errors (both statistical and systematic) assumes a pivotal role in computations and measurements in generating data with confidence. Finally, a discussion on the concept of dose and radiological protection and operational quantities is done along with the recommendation of using Evidence theory in addition to Bayesian probability in assessing radiological risk. Monitoring of radiation workers and maintaining their dose data is an important part of radiological protection program. As per RPR-71 (and presently RPR-2004), it is a regulatory requirement. 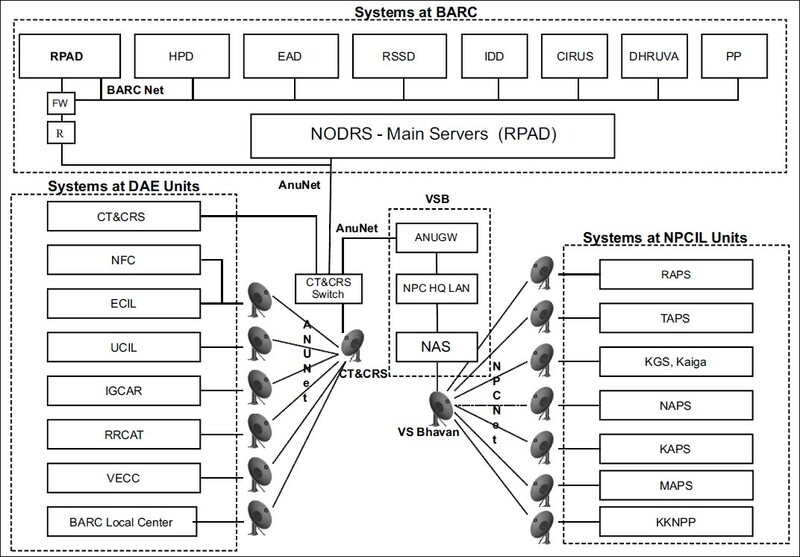 National Occupational Dose Registry System (NODRS) at Bhabha Atomic Research Centre (B.A.R.C.) is maintaining and updating annual and lifetime dose data of all monitored radiation workers since the inception of Directorate of Radiation Protection in late sixties. The registry has a database of over 4,00,000 radiation workers. Over the years, the registry underwent several structural, software and hardware changes. Recently, it has been upgraded to network all monitoring labs located at NPP sites and other DAE units with the main database server at BARC through NPCNET and ANUNET. The new system provides online information on dose data, previous dose history of radiation worker which is an important requirement for monitoring units. Capability of NODRS to store biometric information of radiation workers enhances the effectiveness of the system. This paper gives the outline of NODRS along with some analysis of the data accumulated over the years. By installing a Gamma Tracer (Genitron make) outside of a mobile vehicle, gamma radiation levels around KAPS up to 30 km distance were measured for a period of one year. The hourly averaged gamma radiation levels in all the routes of mobile vehicle in many occasions varied from 56 to 112 nGyh -1 , with an average of 77 nGyh -1 . The hourly averaged gamma radiation levels in all TLD stations were also found to be within this range. 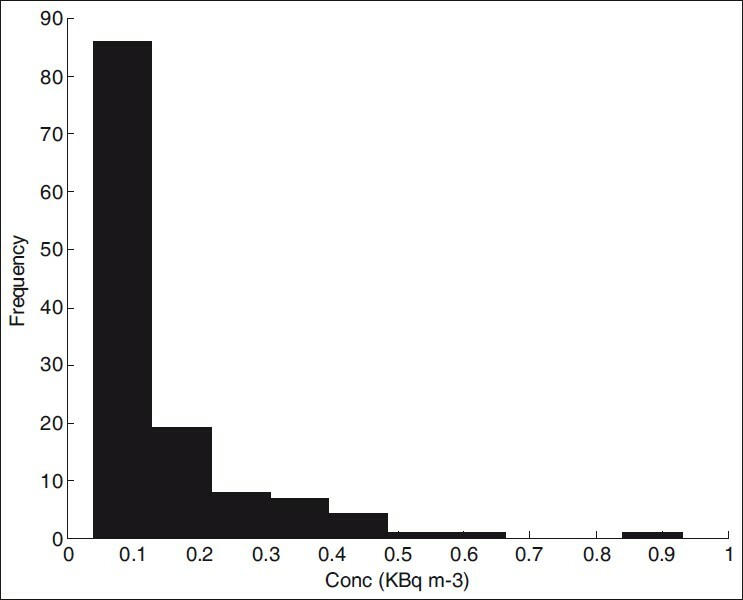 Since this data is comparable to preoperational data, the impact of operation of KAPS on the environment is negligible. 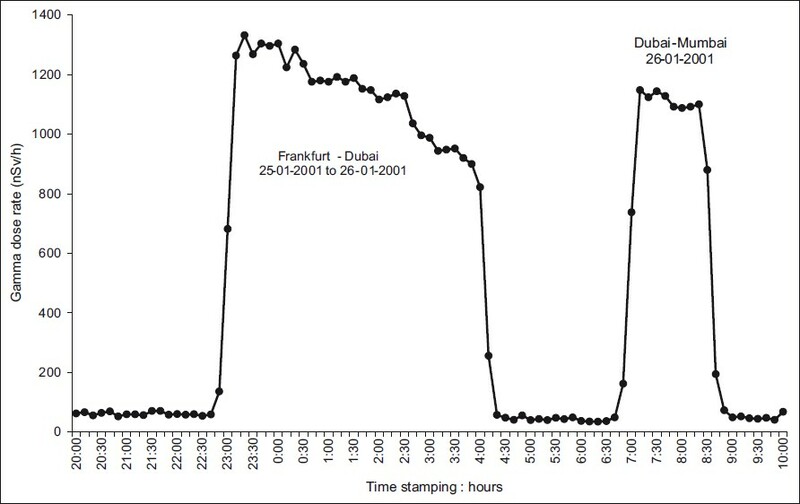 Cosmic ray produced gamma dose rates recorded by continuous dose logging systems shipped in a commercial flight flying in Frankfurt-Dubai-Mumbai sector are presented. The doses measured, in the 10 hour flight duration, at 10 minute interval were analyzed and a gamma dose rate factor of 1.14 μSv/h of flying was evaluated. The gamma dose rates were in the range of 0.74 to 1.34 μSv/h in the flight path. Radioisotopes find innumerable applications in medical, industrial and agricultural applications. Radiopharmaceutical division is engaged in activities to promote peaceful uses of radioisotopes and radiation. In Radiopharmaceutical division production and processing of radio chemicals take place for low activity sealed sources for various applications such as brachytherapy, references sources for calibration, sources for industrial application. These sources are then supplied to end users through BRIT. Radiopharmaceutical division handles significant amount of beta and gamma emitting radioisotopes in solid and in solution form. Board of Isotopes and Radiation Technology (BRIT) has committed supply of these sealed sources to various hospitals and industrial institutions in India. Annually, TBq level of radioisotopes are handled in facilities such as - fume hood, shielded production plant, glove boxes, RLG, BARC. This paper brings out a detailed account on the radiological surveillance provided during the production of these radio chemicals and sources implementing As Low As Reasonably Achievable (ALARA). 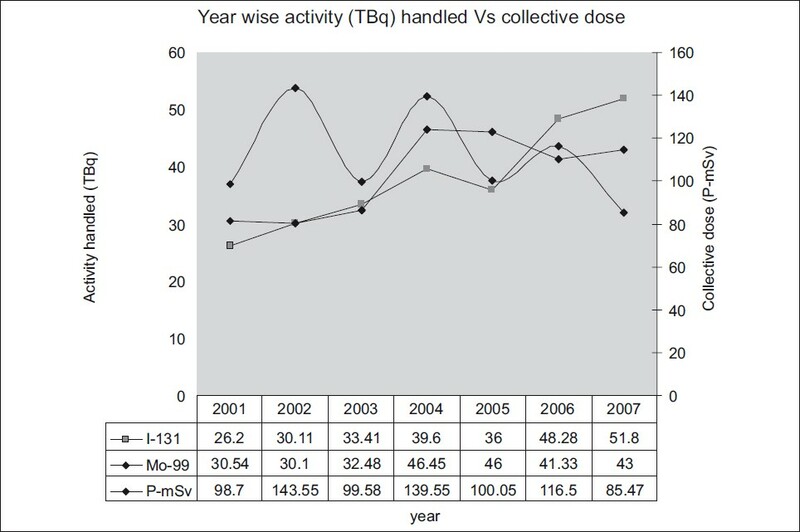 The decrease in collective dose per activity handled is the outcome of improved operation practices, radiation surveillance and safety compliance carried out at various stages of production. Glove boxes that were used in different operations of FBTR fuel fabrication and other metallographic works were planned for disposal as solid active waste. Out of 11 glove boxes, 3 were sent for disposal and remaining for storage at transit storage facility. Special campaign was taken up for decontamination and disposal to bring down the contamination level to prescribed limit of 4000 Bq/g. Soap solution and EDTA were used as cleaning agents for decontamination of loose contamination and then oil paint for fixing the contamination. Glass panels were replaced in the glove boxes sent for storage. The Health Physics experience gained during the shipment of active glove boxes used in handling Pu could be useful in future. Advanced Heavy Water Reactor (AHWR) is being developed in India with the aim of utilizing the vast reserve of thorium as fertile fuel and power production. The AHWR is based on (Th-U)O 2 and (Th-Pu)O 2 fuel and hence studies related to various aspects of reactor operation using thorium is required as a part of development and generation of data on thorium fuel cycle. In this experimental study, an attempt is made to simulate a fuel Clad failure with (Th- 233 U)O 2 fuel pellets. The pellets of 91% T.D. with 0.1w% 233 UO 2 were prepared by conventional dry powder metallurgy of cold compaction and were contained in a 0.3mm thick Al capsule. A pin hole 1.76 mm 2 dia. was drilled on clad to simulate small size clad defect. 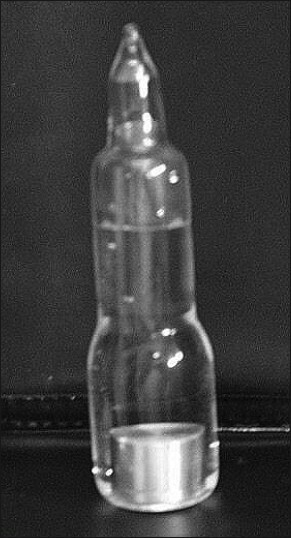 The pellets immersed in demineralised water were irradiated in a reactor for a known period. The isotopic activity analysis of radionuclides released in the water was done by γ-ray spectrometry. The release of Ac 228 in the water indicates the presence of thorium decay products such as Bi 212 , Tl 208 during fuel failures. This would warrant adequate shielding on the primary heat transport system piping in case of MOX fuelled reactors using thorium. Selective sorbent resins have been developed and are being used extensively for decontamination of radioactive effluents received from reactor at CWMF, Kalpakkam. These materials were evaluated for their suitability in treatment of effluents generated at ETP Trombay to minimise release of activity to the environment. An ion exchange column of capacity 80 litre was fabricated and filled with Copper ferrocyanide (CFC) and Hydrous manganese dioxide (HMO) supported on polyurethane foam. The former is selective for Cesium and the later for strontium. The feed effluent gross βγ activity was in the range of 10-15 Bq/ml. About 130 m 3 (1550 Bed Volume) of effluent was treated resulting a Decontamination Factor (DF) of about 7-9. This has demonstrated the effectiveness of specific resins for treatment of low level radioactive liquid effluents. It is desired to introduce prefiltration systems to enhance the life of the resin. 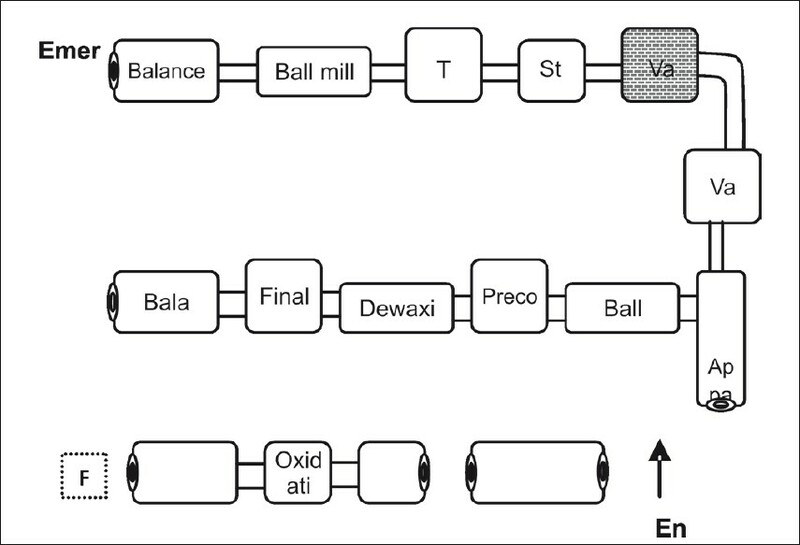 Current paper summaries the results of measurement of radon and gamma level inside the developing mine of Bagjata, The maximum radon level was observed to be 0.93 kBq m -3 EER which is lower as compared to the recommended DAC of 1 kBqm -3 EER. In most of the measurements, the 222 Rn concentration was lower as compared to the Derived Air Concentration of 1 kBq m -3 EER. Maximum gamma level (5.01 μGy h -1 ) was observed near the exposed ore of the mines. The results presented here will form a basis in improving the design to enhance the effectiveness of engineering control measures during operational phases. The 60 Co source is used in the FIPLY irradiator. The source is stored under water and the water pool acts as the shield and is useful for the removal of the decay heat. The radiation field measurement on the water pool area was desired to be carried out for different depths of water and during the source held in the exposed state, gamma dose mapping in the irradiator room with distance from the source rack. The paper describes the radiation field prevailing at various depths of water pool with source under water and gamma dose with distance in the irradiator room during the sources held in the exposed state. 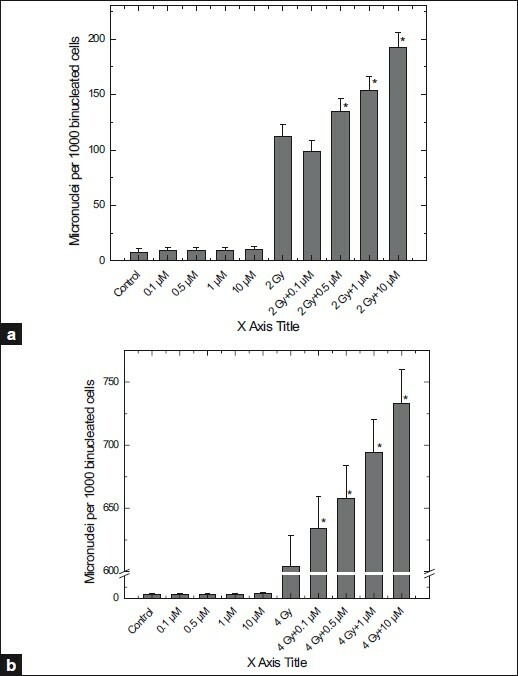 Present study reports the effect of caffeine on 60 Co gamma radiation induced micronuclei in human peripheral blood lymphocytes. Lymphocytes were pre-treated with 0.1-10μM caffeine for 1h at 37°C and exposed to 2 and 4 Gy of radiation before culturing for 72h. In another set of experiments, lymphocytes were exposed to 2 and 4 Gy of radiation and subsequently cultured in the presence of caffeine. Caffeine pre-treatment significantly reduced radiation induced micronuclei (MN) in a concentration dependent manner. In contrast, post-irradiation treatment with caffeine significantly potentiated radiation induced MN in a concentration dependent manner. Iodoacetate (IA) is a known tumour promoter of moderate potency. Present study reports the effect of IA post-treatment on 60 Co gamma radiation induced chromosomal aberrations in human peripheral blood lymphocytes. 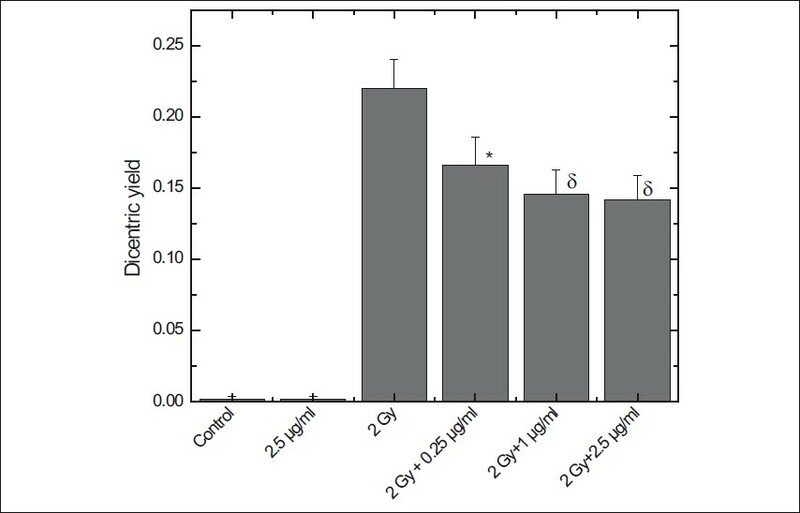 Cells were exposed to 2 or 4 Gy of radiation and were cultured in the presence of 0.25-2.5 μg/ml IA. It was observed that IA reduced radiation induced dicentrics yield significantly at both the radiation doses. The Mineral Separation Plant (MSP) of M/s Indian Rare Earths Ltd at Manavalakurichi in Tamil Nadu is engaged in the processing of beach sands to separate ilmenite, monazite, rutile, sillimanite, garnet and zircon. The mining and mineral separation of these sands involves occupational radiation exposure. Inhalation of airborne particulates of monazite is the major route of internal exposure. Thoron - in - breath measurements are carried out on the workers of the plant. From this, the Th lung burden is calculated assuming 9% exhalation of thoron generated in the lung. Th burdens for workers from different operations of the plant range from 8.5Bq to 95Bq. 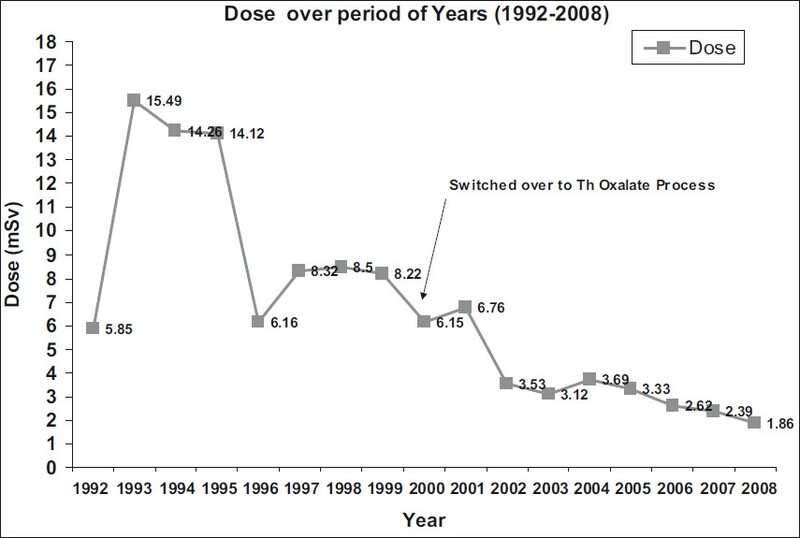 This corresponds to less than 15% of Annual Limit for Intake (ALI) for thorium. The data validates the control measures adopted in the plant to keep the exposures As Low As Reasonably Achievable (ALARA). The operation of Nuclear Power Plants results in generation of low level effluents, which are released in a controlled manner out of which atmospheric releases are carried out through the stack to reduce the radiation dose rate on ground by dispersion. 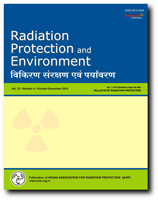 In order to assess the radiological impact of routine and accidental releases from a nuclear installation, it is necessary to know the concentration of radionuclides and dose rate profile in the environment, which helps in the implementation of early countermeasures during a radiation emergency. The mobile radiation monitoring technique using various systems/radiation monitors installed on a mobile monitoring vehicle helps in quick assessment during any emergency. This methodology was tested on mobile platform at KAPS and it's surroundings by installing various state of the art systems like GRaMS, CARMS, AGSS, Gamma Tracer etc. which is discussed in this paper. The detailed radiation monitoring carried out in the Emergency Planning Zone of KAPS showed the radiation level in the range of 50-60 nGy.h -1. Thorium plant at, IREL OSCOM produces thorium nitrate (mantle grade) from thorium concentrate/thorium oxalate obtained from the Rare Earths plant at Udyogamandal. The process involves external and internal exposure of workers due to the handling of radioactive material. Scientific management, involving safe handling of radioactive material and process modifications has been responsible to optimize the occupational exposures to low levels. The paper describes the various safety measures and process modifications that resulted in the per capita dose reduction, from 10.4 mSv to 3.6 mSv, during the last one decade. Facilities handling large amounts of α-emitters viz., isotopes of Pu and other actinides, make use of containment systems viz., Glove Boxes with leak tightness that have very low leak rates. During normal operations, the internal hazard to the lab personnel is practically negligible. However, some operations/events in the glove boxes may lead to loss of integrity of the containment. This could result in release of airborne α - activity inside the glove box into the working environment. Depending on the release of α - activity, the internal hazard may be significant. The assessment of intake and the estimate of CED in suspected cases are carried out. 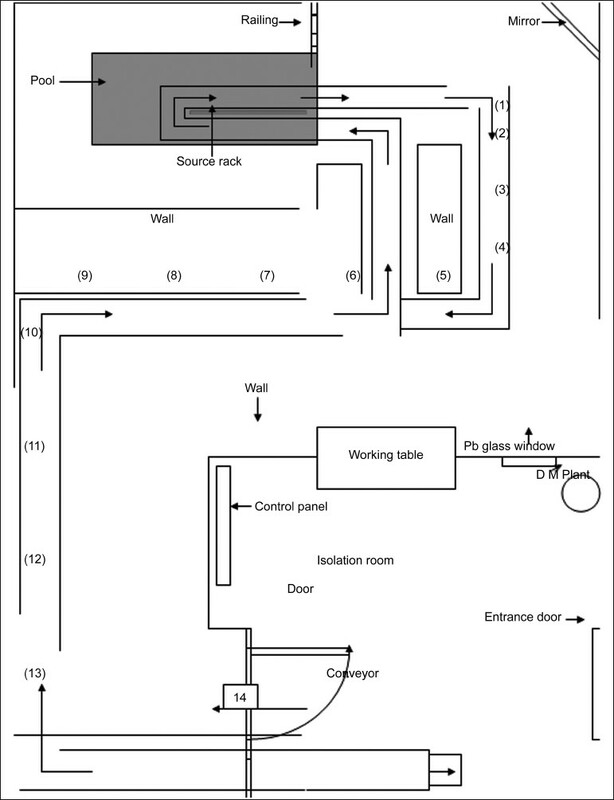 The paper describes the assessment of lab air activity, personnel contamination, intake and internal exposure during an event in glove box that had resulted in release of α-activity. The intake of the S - Class of Pu compound was followed up and the administration of chelating agent to the person was found to have resulted in the reduction of CED to the individual. Assessment of internal contamination of lung/skeleton/liver is required on a routine basis for occupational workers in fuel fabrication and reprocessing plants handling actinides. Assessment of lung/organ burden of actinides is carried out inside the totally shielded steel room whole body counter using Phoswich and array of HPGe detector. 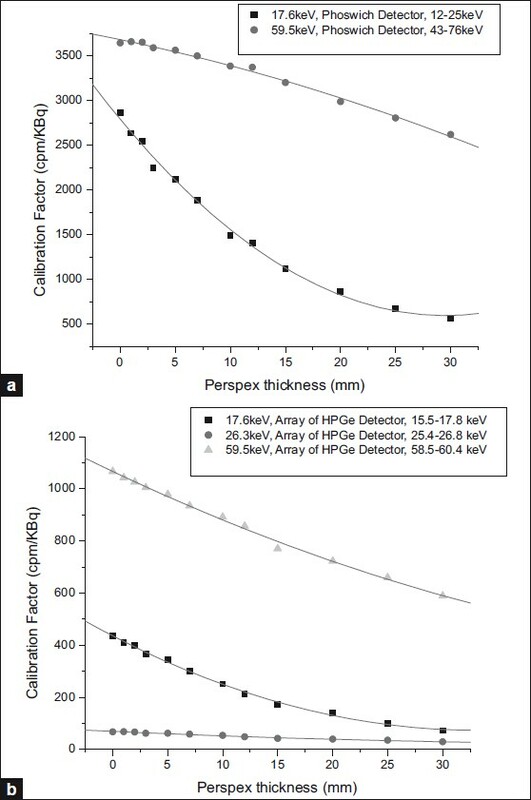 This paper describes studies carried out for calibration of the two detection systems for 241 Am source embedded at different depths in tissue equivalent perspex slabs. The calibration factors thus derived will be helpful in the estimation of embedded activity in the tissues of the radiation workers in cases of internal contamination due to wound in the workers handling actinides. 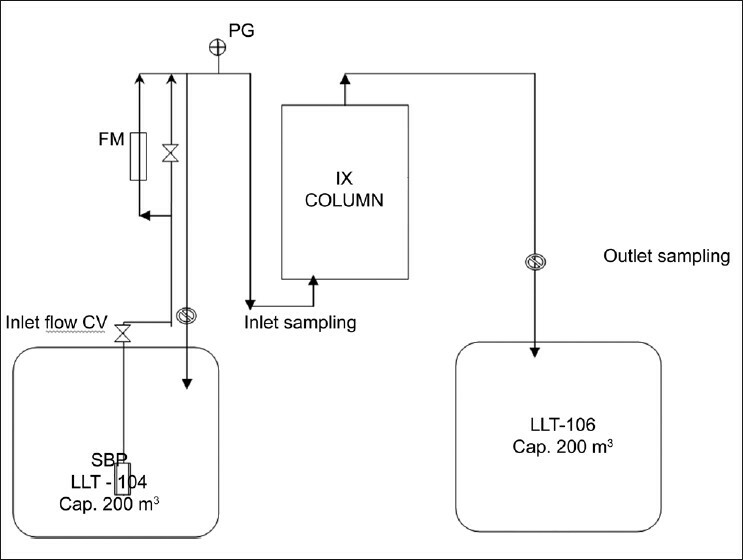 EPR dosimetry finds application in gamma dose measurements whenever the dose range is above Gy level. Suitable matrices are used as cumulative dosimeters. 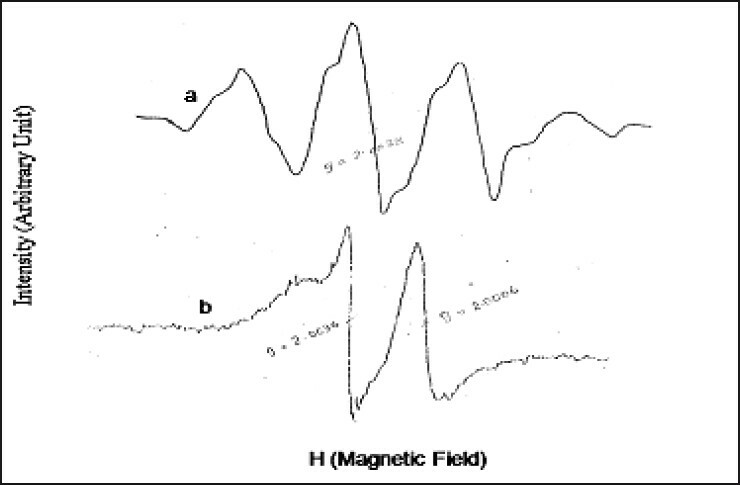 The present study describes the dose mapping of D 2 O heat exchanger room and Valve room of Dhruva reactor, while the EPR dosimetry was used with Alanine and Lithium Carbonate as the dosimeters for cumulative gamma dose measurements. 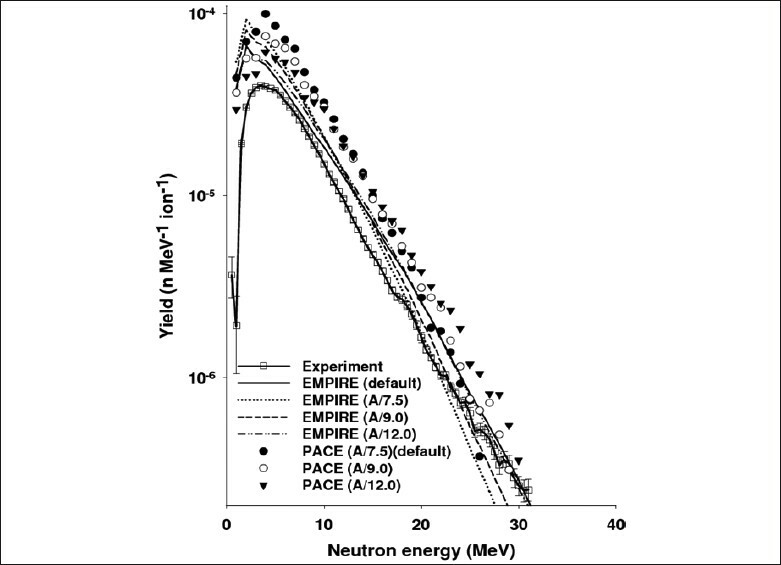 The samples in duplicate, were irradiated for two different irradiation time intervals. Results of the two sets of irradiations for 600 hours (~25 days) and 1200 hours (~50 days) of gamma irradiation and their dosimetric signal readings, found to agree within ±5%, are presented. Bioassay Laboratory of Health Physics Division is entrusted with the task of carrying out the bioassay monitoring of occupational workers from various plants / divisions of BARC e.g. FRD, FCD, RCD, WMD, UED etc. for various radionuclides like Pu, U, Th, 90 Sr, 3 H etc. On the average, about 1400-1500 analyses are performed on 700-800 urine samples collected annually from radiation workers. The number of samples has increased in the recent years and is expected to increase further. Hence, it is planned to carry out automation in various stages of sample handling and processing to cope up with the expected increase in workload. 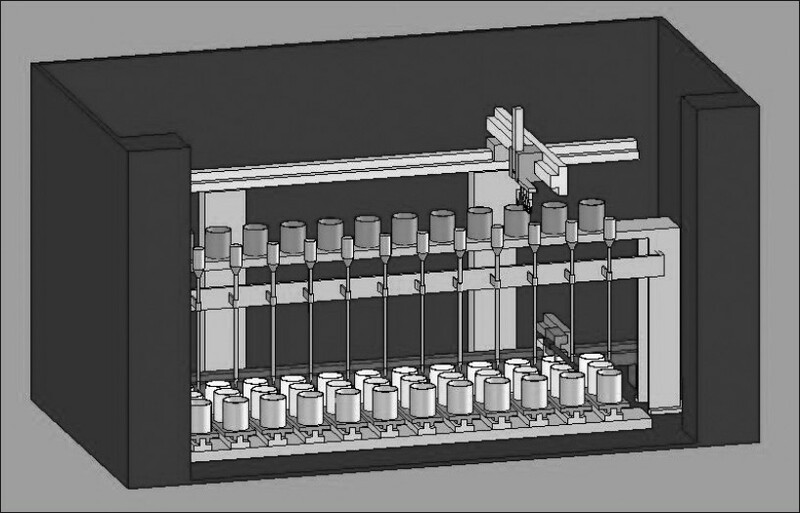 The present paper describes the conceptual design for fabrication of comprehensive automated system for radiochemical analysis of bioassay samples.